/ Insights / Crowdfunding valuations in the Netherlands, what’s the value of a promise? The crowdfunding market in the Netherlands has again doubled in size over the past year. According to the recent press release of crowdfunding research company Douw&Koren, the amount of money raised with crowdfunding has grown from 63 to 128 million euro. At the same time, Douw&Koren says that 2016 will be the “moment of truth” for crowdfunding, as the growth rate seems to be stagnating. Last year, I wrote a sequel of two blog posts about the valuations of equity-based crowdfunding projects in the Netherlands (read them here and here). My conclusion was that I though that the valuations seemed to be high and therefore hold a certain risk with regard to follow-on investments. But since investors were willing to invest, I guess the valuations were as close to market value as they could get. The post-money valuation is already provided by Symbid, but the calculations are simple: post-money valuation = investment amount/ percent of equity. 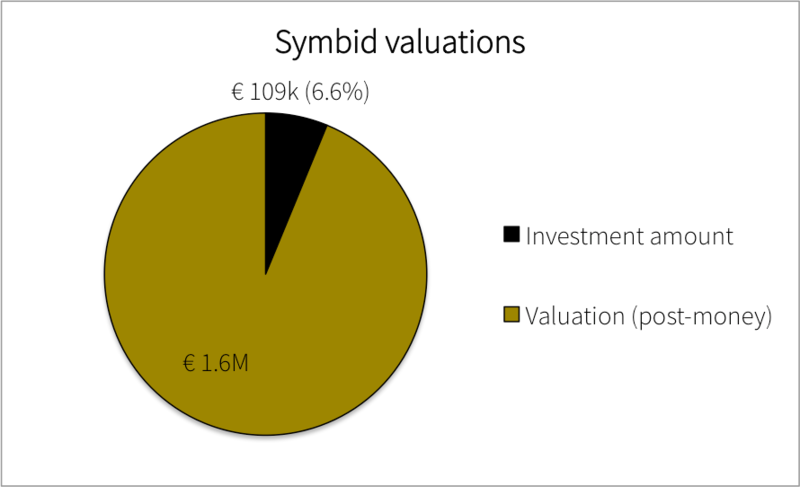 The average investment amount and valuation of all Symbid projects are presented in the figure below. 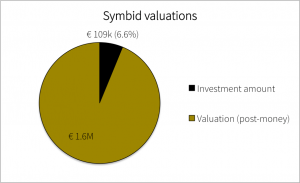 Projects on Symbid (excluding one-off projects) raise, or try to raise, on average €109k for a total company value of 1.6 million euro, which represents an average equity stake of 6.6 percent. How does this compare to last edition? The valuation increased. The figure below shows that the average valuation the last time I checked (so all projects until November 2014) was 1.4 million euro, while the average valuation over the past year (November 2014 to January 2016) was 1.8 million euro. This corresponds to an increase of 28 percent. Within the Symbid sample, I made a distinction between pre-revenue companies (N = 59) and companies that generate revenues already (N = 53) (the revenue status of the remaining 33 is unknown). This ‘revenue status’ is in most cases explicitly provided by the company. The result is presented in the figure below. As expected, the companies that generate revenue have a higher valuation than pre-revenue companies: 2.0M euro and 1.3M euro respectively. These numbers haven’t changed much compared to last year. The investment amount is slightly higher this year for revenue companies compared to pre-revenue (122k vs. 97k euro). Again, I am surprised by the high valuation (in my opinion) of the pre-revenue companies. The nature of these companies is very diverse, but they have one thing in common: no paying customers. Yet they value their promise at 1.3 million euro and get away with it in many cases. I looked at how the valuation differs for successful projects and projects that were not successful with their crowdfunding campaign. I find that successful projects (N = 84) search for a slightly smaller investment amount than unsuccessful projects (N = 53), but have higher valuations (and thus a lower equity stake of 6.3 percent and 7.7 percent respectively). This is also shown in the figure below. Within the ‘successful’ category, projects with revenue (N = 39) had a valuation of 1.9 million euro compared to 1.5 million euro for pre-revenue projects (N = 44). In order to see which valuations are most popular, I made a histogram containing the frequencies of the valuations of the crowdfunding projects. 85 percent of the crowdfunding projects have a valuation of €2.5 million or less. Most of the projects, almost 20 percent, raise funding at a valuation of €1 million. The highest valuation, from Symbid itself, is 13.3 million euro. This corresponds to an equity value/sales multiple of 13.3M/230k eurov= ± 59x. Not bad. Compared to last year’s analysis, the valuations of equity-based crowdfunding projects have gone up. Companies without any revenue yet value their promise at 1.3 million euro, which is high in my opinion and could have consequences in any follow-on rounds (i.e. no deal or downround, like I explained last time). Obviously, the current equity stake of on average 7.3 percent for pre-revenue companies will further dilute with every new equity round the company raises, resulting in a smaller slice of the pie for crowd investors than they might expect. But apparently there are enough friends, family and ‘fools’ that are willing to pay this price. Since my last analysis I noticed that Symbid introduced the “challenge valuation button”, where (potential) crowdfunders can notify the entrepreneur that there is a disagreement on the valuation part. I didn’t analyze this in-depth, but I saw that just a small number of projects adjust their valuation during their campaign. Nevertheless, I think this button is a great step in better aligning the interests of the investors and the entrepreneurs, also in the long run. For equity crowdfunding, I also think 2016 will be the moment of truth. Crowdfunded companies will get to that point in time now where some will fall. So far, two equity crowdfunded companies – SellanApp and CityShare* (and perhaps more) – have filed for bankruptcy and I wouldn’t be surprised to see more of these events happen over the coming year. It’s not that the quality of the propositions is low, it’s more that I don’t think crowdfunding proposition can beat the statistics of startup failure. Aside from the crowd investors that will lose most of all of their investment, I can image that a larger number of crowd investors will get disappointed financially when the realized returns and/or their eventual ‘slice of the pie’, after sequential funding rounds, are below expectations. High valuations tend to lead to high expectations. I do hope crowd investors will sustain, even when some of their investments fail or disappoint. Therefore, I encourage investors to keep investing, not shy away from a rational approach (as well) if you aim for financial returns, and do challenge the crowdfunding valuation when you think they are too optimistic. I also encourage entrepreneurs to really think through the next business steps, funding strategy (i.e. next financing rounds and dilution) and business risks, and be very clear and explicit about this in the project description. This especially holds for pre-revenue companies as they don’t have much to fall back on (yet) except for a well thought through plan backed by sound (financial and non-financials) assumptions. Let me hear what you think. Unfortunately, the comment section is not yet in place at StartupJuncture, but you can tweet me (@tjmensink) or leave a reply on my company’s blog: Golden Egg Check. 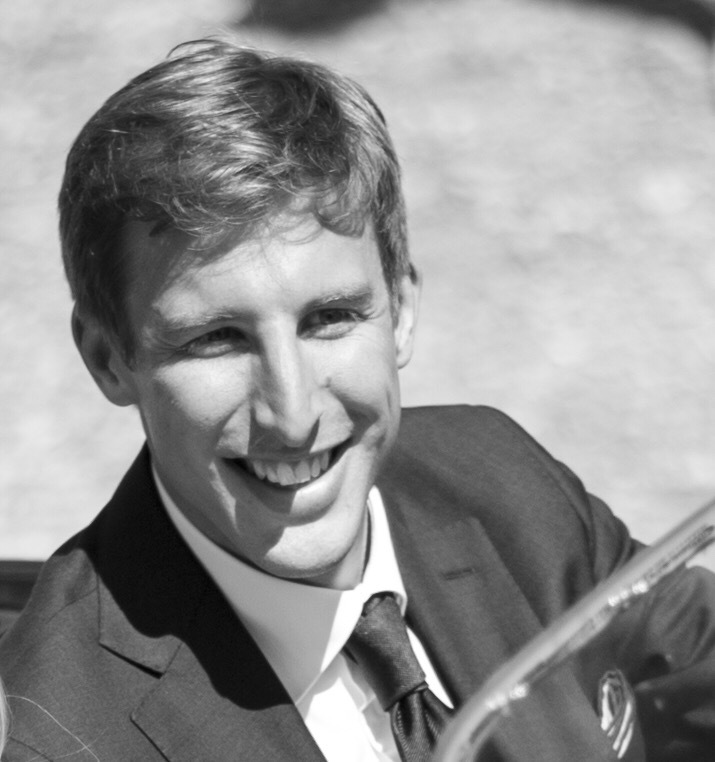 Guestpost by Thomas Mensink, business analyst at Golden Egg Check, an online tool set to test the potential and investor readiness of venture propositions.